Every brand story is unique, yet the reasons for a brand refresh usually fall into a few common categories. 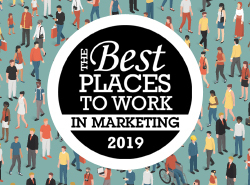 Forbes tells us why it chose five successful brands who serve personalized marketing content that "makes us green with envy." Public relations firms and SEOs have been duking it out over who’s better at online reputation management for decades. Here's the pros and cons of both. If you’re looking for a multichannel lift, consider adding direct mail to your marketing mix. Here's 7 tips to get you started. 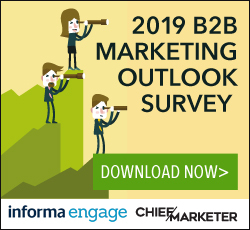 Learn what some of the featured B2B marketing agencies on this year's CM200 think are the top trends, challenges and opportunities for 2019. ABM can significantly help B2B marketers improve the bottom line. Here's how B2B high tech firms Puppet and Zerto are making it happen. Here's five flaws you need to avoid to write a winning sales proposal and close the deal. State Street and Formlabs shared their strategies for creating an engaging, human connection with content.